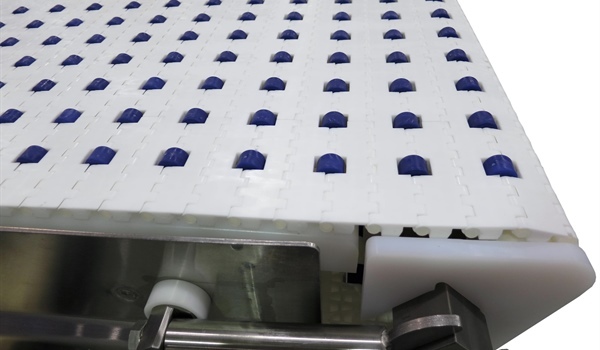 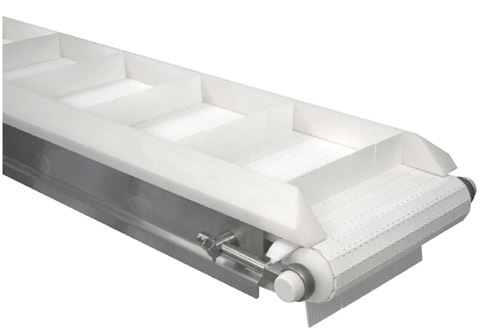 AQUAPRUF 7400 SERIES CONVEYORS – StampTech Inc.
​Frame is designed with no horizontal surfaces for optimum cleaning. 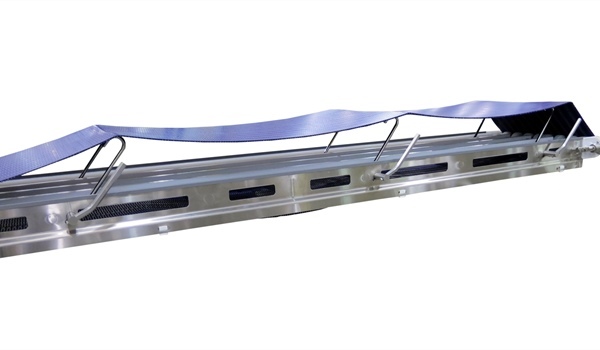 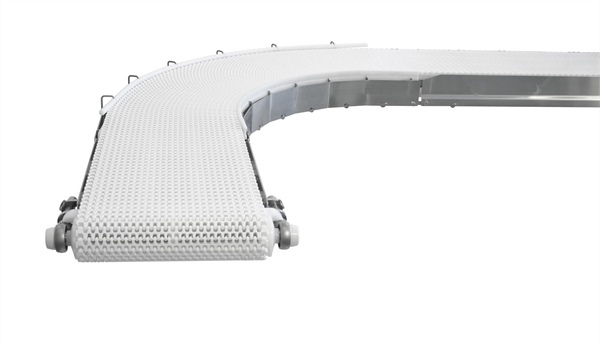 Conveyors over 10′ long consist of multiple sections which are bolted together. 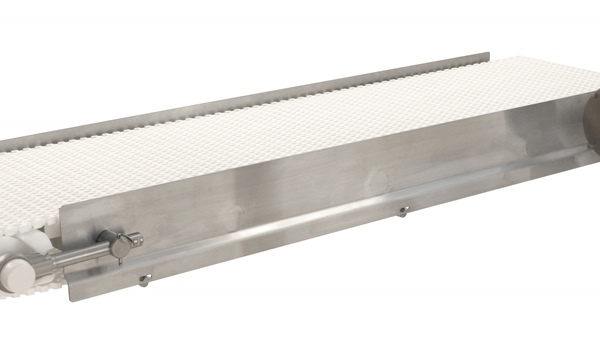 Bearings are mounted in cast stainless steel housing for maximum performance in washdown environments. 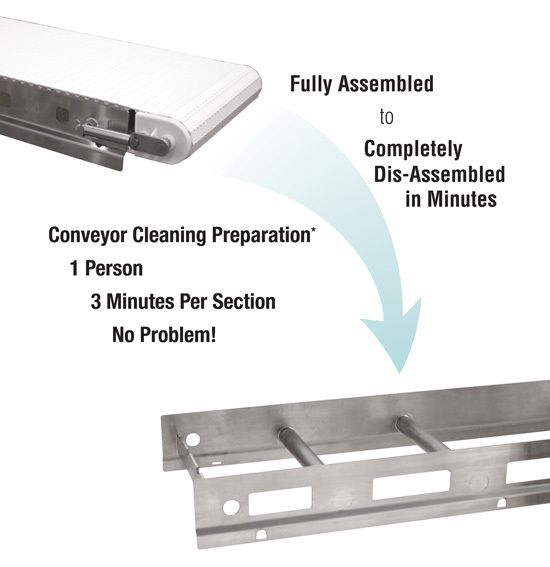 Conveyor is designed to withstand high pressure (100-1,500 psi) spray and chlorinated cleaning solutions. 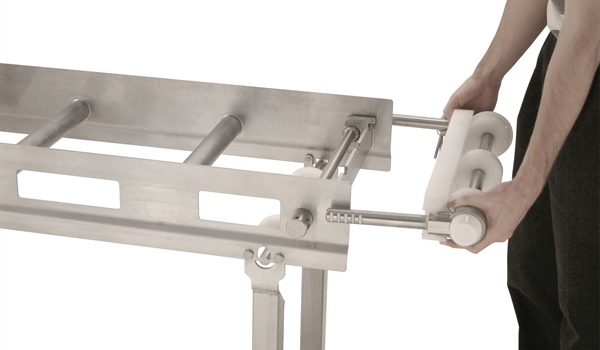 Nose bar idler ends (optional) are constructed of a machined UHMW bar to provide a 1.5″ diameter transfer. 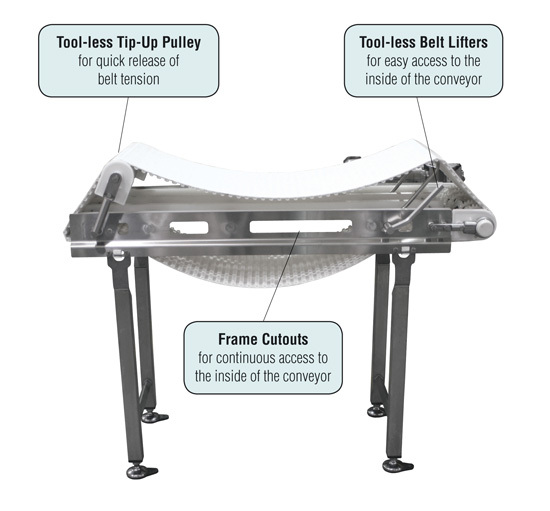 Belt lifters (optional) raise the belt form the wear strips by simply pulling an external lever for fast access and effective cleaning.